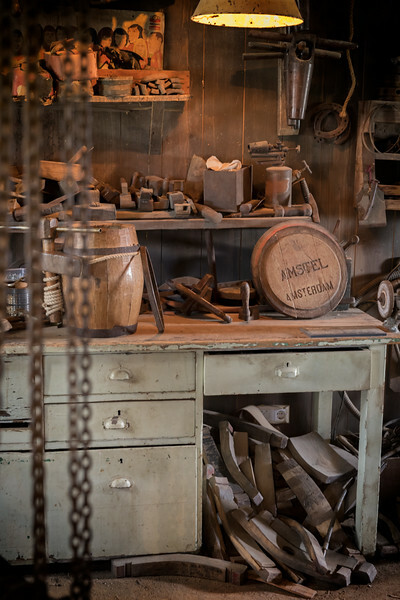 This was the workshop of a barrel maker until he passed in the 1950s. It's now part of the Zaanse Shans museums where a friendly attendant relays stories of the art and craft of barrel making. The former owner made barrels for the famous brewery. As an aside, because of all the lowlands and abundant water, the prior name of the city was Amsteldam but eventually was changed to Amsterdam.